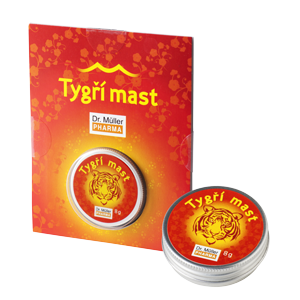 Tiger balm which contains a lot of essential oils, and especially the clove oil, is used to relieve the strain caused by stress and fatigue. It is intended for external use on the temple, neck, or around the nostrils. Protect the eyes and mucosae. Not suitable for children up to the age of 3. Keep out of the sight and reach of children. Store under the temperature of from +5 °C to +25 °C.